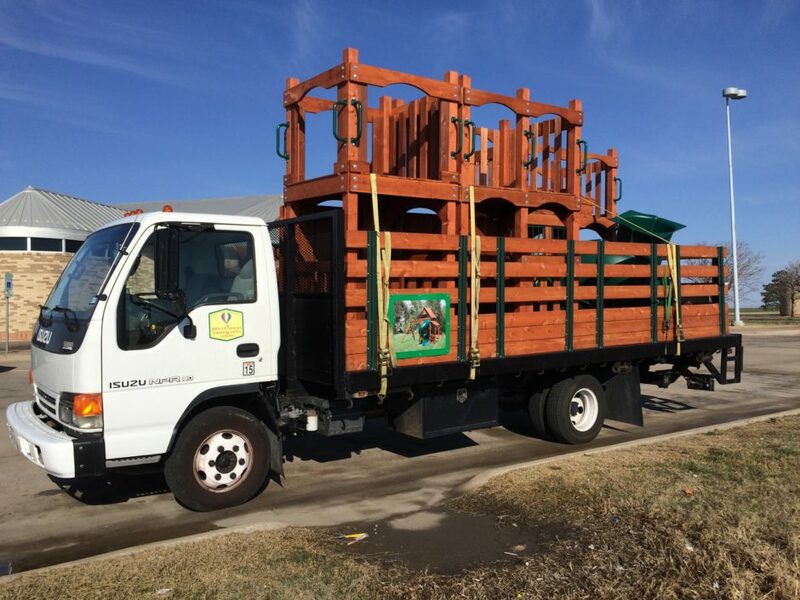 Lubbock & Amarillo Wooden Swing Sets Delivered and Installed anywhere in the Texas Panhandle! View All of our Home and Pricing and see how we can make your yard a wonderful, fun place to play! Our Amarillo Warehouse is located in between Canyon and Amarillo off of McCormick Rd….. 14010 Mescalero Trail, Amarillo, Tx. 79118 We offer Delivery & Installation to Lubbock and surrounding areas and make a trip to Lubbock almost every week. We love our new swing set! Visit Our Amarillo Office today! Local Pick-Up is also available for a Discounted Price. Call our Amarillo Location for Details or if needing certain customization on your swing set.